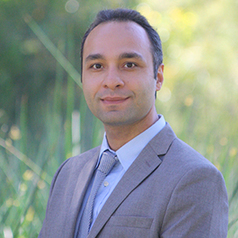 Dr. Mehran Nejati is a Senior Lecturer in the School of Business and Law, Edith Cowan University. His academic qualifications include PhD in Management, MBA, and Bachelor of Industrial Engineering. Upon completion of PhD, he completed a one-year Postdoctoral research focusing on sustainability and social responsibility. He has had visiting appointments at the University of Adelaide, Flinders University, and University of Seville (Spain) in the past. Dr. Nejati's research studies have been published in numerous peer-reviewed academic journals such as Journal of Cleaner Production, International Journal of Consumer Studies, Management Decision, and Journal of Small Business Management, among others. He is also the co-editor of the book titled “Corporate Social Responsibility and Sustainability: Contemporary Perspectives” published by PEARSON. In addition, he serves as the editorial board member of several international journals. He holds a Certified Six Sigma Green Belt by American Society for Quality (ASQ) and became a Certified Sustainability Reporting Specialist (CSRS) in 2012.